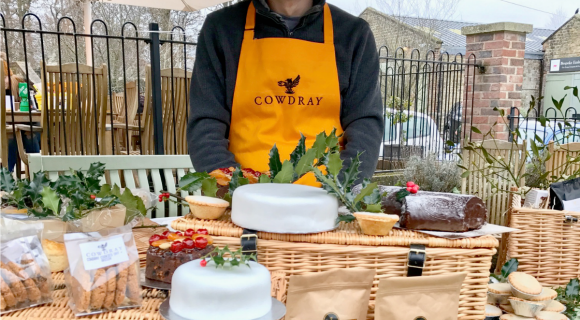 Cowdray Farm Shop & Café’s talented Chefs have been formally acknowledged for their excellence as six products are recognised by internationally-renowned judges in the Great Taste Awards 2018. 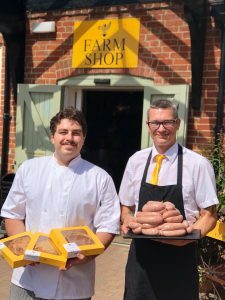 Notoriously delicious, Cowdray’s Breakfast Sausage, was confirmed as the only breakfast sausage to achieve the coveted two-star award. The unique Cowdray Seville Orange Bakewell Tart, a specialist tart, was also awarded two-stars. Both recipes were formulated by the in-house team, combining expert skills of Cowdray’s pastry chefs and butchers to create these award-winning products. 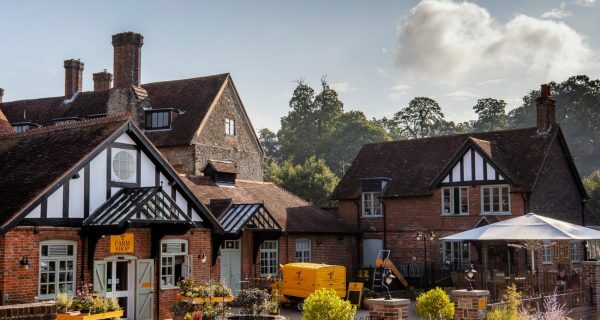 Recognition for Cowdray’s exceptional produce continued, with one star being awarded for both the Cheese, Leek & Potato Pie and the Moroccan Parsnip & Chickpea Pie, great kudos to pastry Chef Stefano Cerea’s outstanding pastry. Acknowledgment for excellence in the form of one star was also given to the delectable Treacle Tart and for the discerning foodie, Collar Bacon. These awards are widely acknowledged as the most respected food accreditation scheme for artisan and speciality food producers with over 500 judges deciding which products are worthy of an award. In total 12,634 products were entered for the Great Taste Awards 2018 and following more than 65 days of judging, just 9.6% of the items entered received two-stars. The products awarded with Great Taste Award 2018, stars of excellence are available in Cowdray Farm Shop. They join our 2017 award-winning products which include, Wild Fallow Venison, Smoked Venison Loin, Pork Sausage Roll and our Venison Pie, Steak & Ale Pie and Chicken, Mushroom & Tarragon Pie. Cowdray Breakfast Sausage can be enjoyed in the Café as part of the Full English breakfast served until 11.45am seven days a week.